Community forum for members of SRS Royal Hills, Sector 87, Greater Faridabad. I am not the resident/investor of SRS Royal Hills but a resident of the Ozone Park in sector 86. after seeing many mails I really could not stop myself to write in favor of investors/genuine residents. We also had similar issues in Ozone Park apartment where builder (Shiv Sai) blatantly replied ignoring the residents and even didnot pay the penalty for delay and many more. But we took possession first (a year back) and now we are going to fight against the builder for all illegal demands. My advise is to take the possession first and get your property in your hand and then go for legal battle. There are many exaple where the people lost everything when they reached court without taking thepossession of their property. Be ready to sign on another paper also where you will find it more disappointing. Keep yourself united and prepare for the legal battle. Hope we can have better Greater Faridabad by such PEST CONTROL strategy. Did you sign any indemnity bond. I learned from various post that if consumer has signed the indemnity bond while taking possession they loose the right of any legal action against builder.. I just want to know about this as i would be entering in same kind of situation. my flat possession is expcted by year end with more than 2 years delay. Finally , we got some temporary relief from the burning issue of VAT. 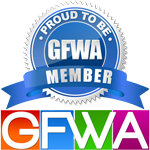 We all Royal Hills Flat Owner group members are very thankful to "Federation Of Apartment Owner Association Greater Faridabad". Without help of your support it was impossible to win this fight. Our special thanks to Mr. Umesh Kumar Prabhakar (General Secretary of Federation Of Apartment Owner Association Greater Faridabad) for his strong support. Mr. Umesh guided Us and provide all technical and legal advice. We are very thankful to myfaridabad.in. It provide Us a strong platform for communication & share our problems & Views. It's true and really thank full to Mr. Umesh Kumar Prabhakar, his support is very value able for us. The Haryana Government’s move to impose VAT on developers engaged in sale of flats, apartments and dwelling units has come under the Punjab and Haryana High Court’s scanner. Karnal-based CHD Developers Limited has filed a petition challenging the provisions of the Haryana VAT Act, 2003, the rules framed under the Act and the notices issued to the developers “in so far as they seek to charge VAT”. Taking up the matter, the Division Bench of Justice AK Mittal and Justice Anita Chaudhary has issued notice of motion to the state. The case will now come up for further hearing on April 23. The Bench has also stayed the finalisation of the assessment by the assessing authority till the next date of hearing. The developer through counsels Sandeep Goyal and Puneet Aggarwal argued that the value of land was to be included while computing the tax on building contracts, though it was barred by the Constitution. They argued as per the Act the value of labour and services were to be excluded from the total value of contract, meaning that the value of the land has been included contrary to the Supreme Court judgement in the case of Larsen and Toubro delivered recently. As per my understanding, buyers have nothing to do with the construction contract between the building contractor and builder/coloniser. His BBA with builder neither mentions specifics of construction contract given by the builder, nor has he any rights, discretion, say, opportunity, scope in deciding the construction contract given by the builder to the contractor. Further, one interpretation of VAT Supreme court order says that vat is payable by customer only if the buyer is party to the construction contract. Meaning, if it is a tripartite agreement in which buyer gives his consent. Hope buyers associations get legal clarification on the matter and prevent another opportunity by builders to create an EDC like scam. Request you to explain what relief are you talking about? Has the VAT thing being put on hold for now? Let me know if you are member of SRS Royal Hill Flat Owner Google Group. We have meet with SRS management and shut it out the VAT issue. Give your email ID and phone number and Tower number to add you in our group. Yes, we don't need to pay vat amount to SRS right now, SRS take one Undertaking for this regard. Please breif us about the temporary relief on VAT. Somehow i was not checking the correct forum so i missed few things. I am also planning to file Consumer complaint against SRS and i want to know if we are making some joint efforts here. Is there a some specific group for all SRS flat owners? If yes please add me also. Please give me your mail Id & contact No. Is there any format of this undertaking? Can you share if you have it? I have PMed you my details , please add me to the group. Kindly add my name in your list. I have flat in B5 Tower.